Nearly six and a half years ago, IT engineers were among the first of the armed forces to arrive in Iraq when the war started. This month they will be some of the last to leave, after spending several months winding down and collapsing the information systems that so many people’s lives depended on during fighting. 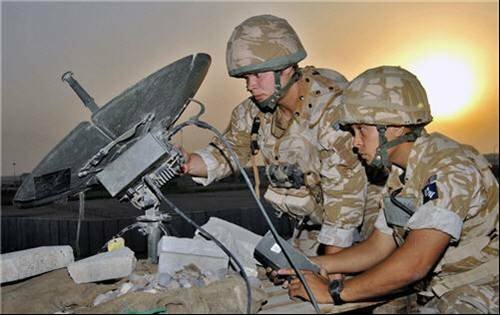 IS engineers must move quickly when they arrive in a conflict zone, setting up networks and making contact with UK headquarters. The systems they build and maintain will often be critically important in the success of the operations and the safety of personnel. Modern warfare depends on sophisticated technology, with gadgets like unmanned aircraft and robots making their mark on the way a war is fought. It’s not just gadgets that are important though – reliable information is crucial, and it’s day-to-day information systems that will provide this.